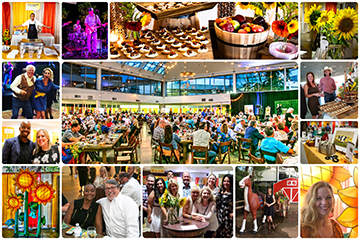 Table of 8 includes preferred event seating, wine at the table, and valet parking. Raffle ticket enters you to win $1,000 Visa Gift Card! By selecting this option, you agree to pay Agricenter International in full prior to attendance. 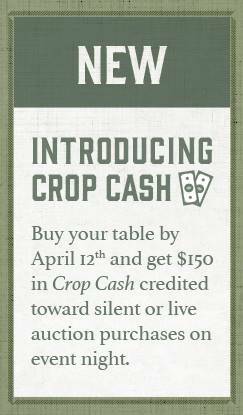 BUY YOUR VIP TABLE BY APRIL 12 and get $150 in Crop Cash credited towards the purchase of live or silent auction items! All proceeds support the educational programs of Agricenter International, a non-profit dedicated to advancing knowledge and understanding of agriculture that educates over 10,000 students a year.